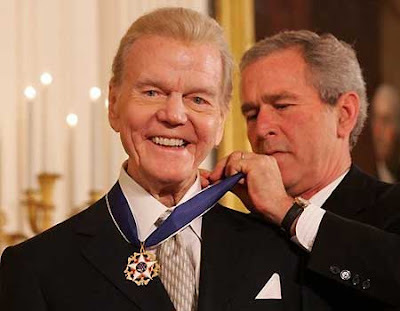 About Photo: November 9, 2005- President George W. Bush presents the Presidential Medal of Freedom to legendary radio personality Paul Harvey, one of 14 recipients of the 2005 Presidential Medal of Freedom, awarded. About this TV AD/Video: Our dependence on foreign energy must come to an end. I wanted to make certain you've seen our new Pickens Plan ad. This one talks about how our dependence on foreign oil can have real national security repercussions. Just last month Russia cut off supplies of natural gas to Europe because they were in a price squabble with Ukraine. The Europeans had to beg Russia to turn the gas back on because it was the dead of winter and people were in danger of freezing to death. Here's the thing: Europe doesn't import nearly the same percentage of natural gas from Russia as we do oil from the Middle East, Africa and Venezuela. We are at real risk of being dictated to by foreign governments who don't like us very much because we continue to import almost 70 percent of the oil we use every day. Take a look at our new Pickens Plan ad and make sure you forward this to your family, friends and co-workers. Spc. Brian M. Connelly, 26, of Union Beach, N.J., died February 26th in Adhamiya, Iraq, of wounds suffered when his vehicle was struck by an explosive device. He was assigned to the 40th Engineer Battalion, Task Force 1-6, 2nd Brigade Combat Team, 1st Armored Division, Baumholder, Germany. 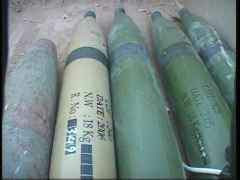 For more information the media may contact the U.S. Army, Europe, public affairs office at 011-49-6221-57-5816/8694. "Let me say this as plainly as I can. 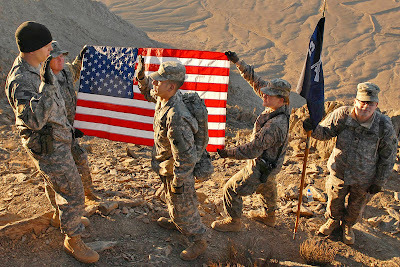 By August 31, 2010, our combat mission in Iraq will end"
. About photo: U.S. 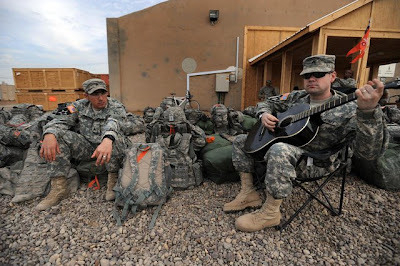 Soldiers assigned to 556th Signal Company, 2nd Stryker Brigade Combat Team, 25th Infantry Division, Multi-National Division–Baghdad wait to board a transit bus on Camp Taji, Iraq, Feb. 23, 2009. The Soldiers are taking the bus to a staging area for redeployment back to Hawaii, concluding their 15-month deployment to Iraq. First of all I want to let you know how this case came to my attention. General Vines calmly responded: "Many of them are dead." that will keep all of our military in danger. 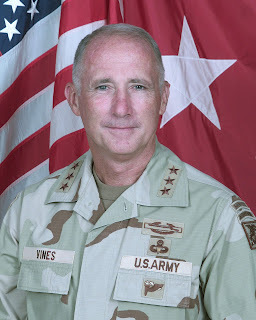 Back in 2006, my main and only point in my post was to tell the troops and Lt. General John R. Vines, ‘Job well done in taking the fight to our enemies. How can you not like this guy for that’. The things you bring up were not in the mix, as far as I knew… and until your letter… this is the first I have ever heard of it. I can not and will not retract my statements from my 2006 posting. I stand behind them and the troops 1000%. But I will check into the matter you have brought to me and will comment accordingly in a new, future Post. Bottom line… If the General has done wrong… so be it. I will gladly help you in bringing out the facts. After I received Cathy’s email the other day, I asked a few Blogging friends about it and I thank them again for their help in this matter. And as I told Cathy... I would check into the facts in this case... and the following is all I could come up with. .
Hopefully by putting this Post up today, some of you will be able to run down some more info for us. The Department of Defense announced today the death of four soldiers who were supporting Operation Enduring Freedom. They died February 24th in Kandahar, Afghanistan, of wounds suffered when an improvised explosive device detonated near their vehicle. Capt. Brian M. Bunting, 29, of Potomac, Md. He was a member of the Individual Ready Reserve, assigned to the 27th Infantry Brigade Combat Team, Syracuse, N.Y.
Sgt. Schuyler B. Patch, 25, of Owasso Okla. He was assigned to the 2nd Squadron, 106th Cavalry Regiment, 33rd Infantry Brigade Combat Team, Kewanee, Ill.
Sgt. Scott B. Stream, 39, of Mattoon, Ill. He was assigned to the 2nd Battalion, 130th Infantry Regiment, 33rd Infantry Brigade Combat Team, Effingham, Ill.
Sgt. Daniel J. Thompson, 24, of Madison, Wis. He was a member of the Individual Ready Reserve, assigned to the 715th Military Police Company, Melbourne, Fla.
For more information on Bunting, media may contact Mr. Eric Durr of the New York National Guard at (519) 786-4581. For more information on Patch and Stream, media may contact Maj. Brad Leighton of the Illinois National Guard at (217) 761-3569. For more information on Thompson, media may contact Lt. Col. Ron Tittle of the Florida National Guard at (904) 823-0166 or (904) 823-0168. The Department of Defense announced today the death of a soldier who was supporting Operation Iraqi Freedom.1st Lt. William E. Emmert, 36, of Lincoln, Tenn., died February 24th in Mosul, Iraq, of wounds suffered when he was shot while participating in a local Iraqi Police function. The incident is under investigation. He was assigned to the 269th Military Police Company, 117th Military Police Battalion, Murfreesboro, Tenn.
For more information the media may contact Mr. Randy Harris, Tennessee National Guard at (615) 313-0662. Before we get started off with this round of posts on the Haynesville Shale, I just wanted to comment on the news out today on the startup of the first time ever drilling of the Haynesville Shale inside the Shreveport city limits. That’s GREAT NEWS for Shreveport and the residence of. Not to mention all those property owners. I for one would have to say to all the different Groups out there, in the City Limits that are still sitting on the fence with their mineral rights… ‘IF YOU SNOOZE -- YOU LOSE’. 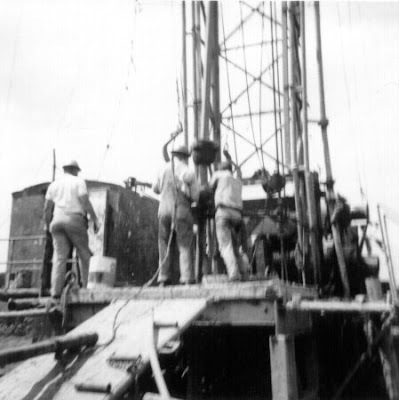 Now… Let’s get started off with this round of posts on the Haynesville Shale. Since its discovery back in April of 2008, the Haynesville Shale has already had a massive impact on the ArklaTex, bringing in millions of dollars in lease money and jobs for all the drilling. Now, the nation's hottest natural gas play has hit another milestone: the first urban drilling rig will soon appear within Shreveport city limits. Site work began on Friday with crews clearing out what was once an open field behind Hamel's park between Clyde Fant and 70th Street. Twin Cities confirms "no group negotiations" policy. * Haynesville Shale Landowners Inc.
* American Association of Professional Landmen. The Department of Defense announced today the death of three soldiers who were supporting Operation Iraqi Freedom. They died February 23rd in Balad, Iraq, of wounds suffered when insurgents attacked their unit using small arms fire. They were assigned to the 5th Squadron, 1st Cavalry Regiment, 1st Stryker Brigade Combat Team, 25th Infantry Division, Fort Wainwright, Alaska. Cpl. Michael L. Mayne, 21, of Burlington Flats, N.Y.
For more information the media may contact the U.S. Army, Alaska, public affairs office at (907) 384-1542. From foreground, U.S. Army 1st Lt. Patrick Higgins, of 1st Battalion, 4th Infantry Regiment, surveys a village as Spc. Aaron Trapley and Sgt. Gary Fordyce provide sniper overwatch and Sgt. Nicholas Gauthier provides security during a foot patrol near Forward Operating Base Mizan, Afghanistan, February 23, 2009. Staff Sgt. Mark C. Baum, 32, of Telford, Pa., died February 21st in Baghdad, Iraq, of wounds suffered earlier that day when enemy forces attacked his unit using small arms fire in Mushada, Iraq. He was assigned to the 1st Battalion, 111th Infantry Regiment, 56th Stryker Brigade Combat Team of the Pennsylvania Army National Guard. For more information the media may contact the Pennsylvania National Guard at (717) 861-8468. 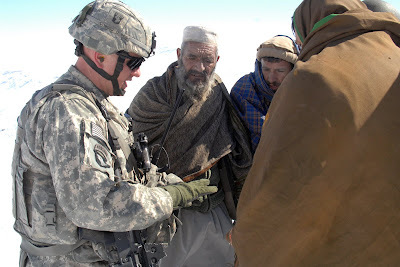 A U.S. Army soldier talks to Afghan elders in Bagram, Afghanistan, Feb 15th. 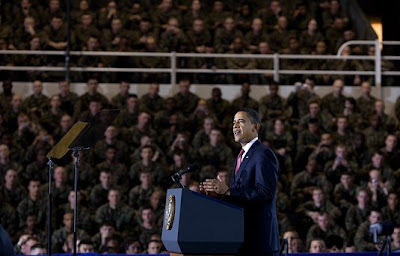 In announcing the deployment of 17,000 additional soldiers to Afghanistan, Barack Obama fulfilled two campaign promises at once. The two brigades - one army, one marine - were previously headed for Iraq. Diverting them signaled that the slow withdrawal from that "dumb war" has begun. The question now must be whether it is any smarter to send them into the graveyard of empires. Defense chiefs believe the 8,300 troops currently serving in the south of the country need to be bolstered by an extra battle group of between 1,500 and 1,800 men within a year. The deployment will push the Britain's Armed Forces to the very limit of its fighting capability and will raise fears that the entire operation has now fallen victim to "mission creep". 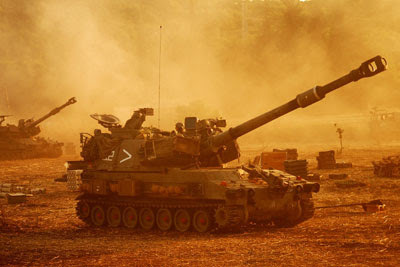 It is understood that the Army's top generals have given their support for the plan and are now awaiting approval from the Treasury and other areas of government. 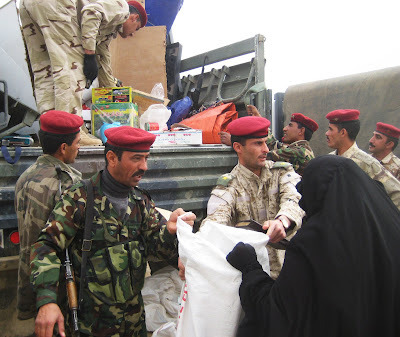 A recent Afghan National Army Commando mission in the Balkh province proved that Afghanistan’s military is gaining the support of the country’s communities. Commando’s of the Afghan National Army’s 209th Corps and Coalition Forces met with villagers near Mazar-e-Sharif Monday to provide information about the role the elite Afghan soldiers play in the defense of Afghanistan. The young men of the community showed an outpouring of interest in the Commandos. Russian Trace in US Base Closure? The Department of Defense announced the deaths of two soldiers who were supporting Operation Enduring Freedom. Staff Sgt. 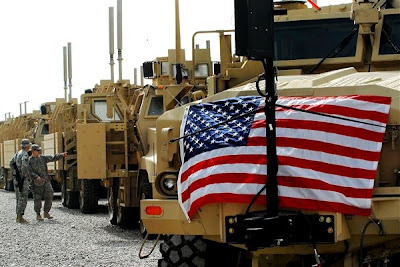 Jeremy E. Bessa, 26, of Woodridge IL, died February 20th, in Khordi, Afghanistan, when his military vehicle was struck by an improvised explosive device followed by small arms fire attack by enemy forces. Master Sgt. David L. Hurt, 36, of Tucson, AZ, died February 20th, in Kandahar, Afghanistan, from wounds received during the same incident. They were assigned to 1st Battalion, 3rd Special Forces Group (Airborne), Fort Bragg, N.C.
For more information media may contact the U.S. Army Special Operations Command public affairs office at (910) 432-6005; (910) 689-6187 after hours, or visit (http://news.soc.mil). U.S. Army Capt. Michael Riha, left, re-enlists Spc. Rodriguez on top of Ghar Mountain at Kabul Military Training Center in Kabul, Afghanistan, Feb. 6, 2009. The soldiers assigned to Delta Security Force made the early morning climb to re-enlist four soldiers. .White House photo by Pete Souza. Two important takeaways from the President's Weekly Address this morning. "Because of what we did, 95% of all working families will get a tax cut -- in keeping with a promise I made on the campaign. And I’m pleased to announce that this morning, the Treasury Department began directing employers to reduce the amount of taxes withheld from paychecks -- meaning that by April 1st, a typical family will begin taking home at least $65 more every month. Never before in our history has a tax cut taken effect faster or gone to so many hardworking Americans." "That work begins on Monday, when I will convene a fiscal summit of independent experts and unions, advocacy groups and members of Congress to discuss how we can cut the trillion-dollar deficit that we’ve inherited. On Tuesday, I will speak to the nation about our urgent national priorities, and on Thursday, I’ll release a budget that’s sober in its assessments, honest in its accounting, and that lays out in detail my strategy for investing in what we need, cutting what we don’t, and restoring fiscal discipline." About this week’s Video Address: President Obama announces that the American Recovery and Reinvestment Act will start having an impact as soon as a few weeks from now, in the form of the quickest and broadest tax cut in history. Great, GREAT work, Mr. Chatukah. I know the people of Israel and all of those of IDF thank you for your wonderful work on this project. Staff Sgt. Timothy P. Davis, 28, of Aberdeen, Wash., died February 20th near Bagram, Afghanistan, of wounds suffered when his vehicle encountered an improvised explosive device. He was assigned to the 23rd Special Tactics Squadron, Hurlburt Field, Fla.
For further information related to this release, please contact the Air Force Special Operations Command public affairs office at (850) 884-5515. The Department of Defense announced the death of a soldier who was supporting Operation Iraqi Freedom. PFC Cwislyn K. Walter, 19, of Honolulu died February 19th in Kuwait City, Kuwait, of injuries sustained from a non-combat related incident. She was assigned to the 29th Special Troops Battalion, 29th Infantry Brigade Combat Team of the Hawaii National Guard. The circumstances surrounding the incident are under investigation. For more information the media may contact the Hawaii National Guard Public Affairs office at 808-733-4241 or 808-733-4258. Mine-resistant, ambush-protected vehicles sit in a row on the Camp Liberty, Iraq, fielding site, Feb. 20, 2009. The day marked the introduction of the 10,000th vehicle into Iraq. About this News Video: Likud party leader Benjamin Netanyahu has accepted the task of forming a new Israeli government, tendered to him by President Shimon Peres on Friday, and called for national unity with Israel's centrist Kadima party and its left-wing Labour party.